The artificial intelligence tool detects diabetic retinopathy in medical images, which can help prevent blindness in diabetes patients. The University of Iowa Healthcare has become the first healthcare organization to implement IDx-DR, the first autonomous artificial intelligence diagnostic system cleared by the U.S. Food and Drug Administration. The AI system, from vendor IDx, can detect diabetic retinopathy via medical imaging. IDx is an AI diagnostics company focused on developing algorithms that detect diabetic retinopathy in adults, 22 years of age or older, diagnosed with diabetes who have not been previously diagnosed with diabetic retinopathy. In April, IDx-DR became the first autonomous AI diagnostic system cleared by the FDA, meaning it uses artificial intelligence to make a diagnostic assessment without requiring a clinician to interpret the image or results. This enables healthcare providers who are not normally involved in eye care to test for diabetic retinopathy, a leading cause of blindness, during routine office visits. 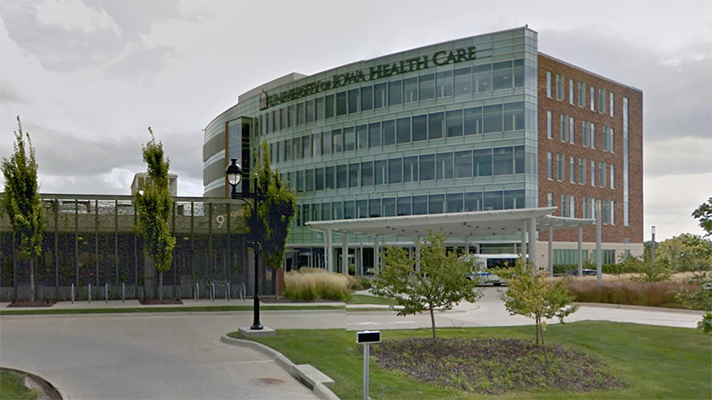 Caregivers at the Diabetes and Endocrinology Center at UI Health Care–Iowa River Landing in Coralville, Iowa, began using IDx-DR to assess patients for diabetic retinopathy on June 12. The clinic handles approximately 7,200 diabetes and endocrinology patient visits each year. UI Health Care plans to expand the use of the AI system across the health system. UI Health Care reports that after just a few hours of training, non-clinical UIHC staff were able to use the system to perform diabetic retinopathy testing. “Early detection of diabetic retinopathy is an essential component of comprehensive diabetes care. This innovation further strengthens our ability to provide state-of-the-art care for our patients with diabetes,” said Dale Abel, MD, director of the division of endocrinology and metabolism at UI Health Care. While IDx-DR is not intended to replace a comprehensive eye exam with an eye care professional, it provides a simple option for people with diabetes to complete their recommended annual diabetic retinopathy exam. This is particularly important for the more than 50 percent of people with diabetes who are at high risk for vision loss and do not see their eye doctor on a yearly basis, UI Health Care said. In addition to the launch at UI Health Care, IDx is working on implementations at several other large health systems that plan to go live with the AI system in 2018.